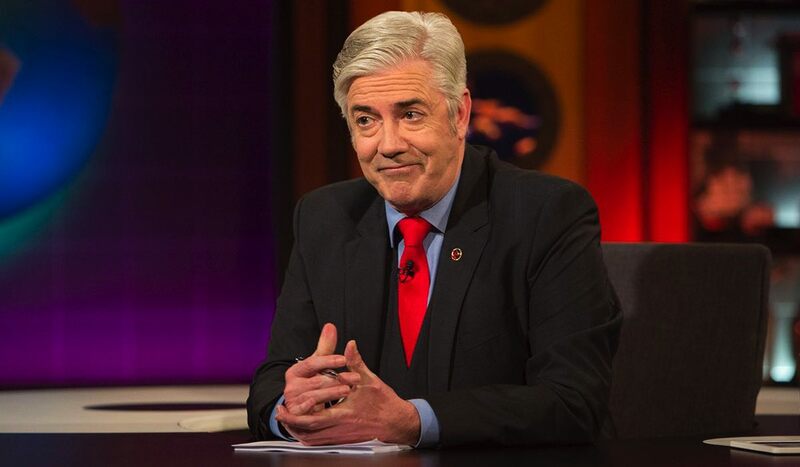 Shaun Micallef will be returning to Nine in 2018 with Talkin’ ‘Bout Your Generation after a gap of more than five years. The show was last aired on Nine’s primary channel in 2012. The free-to-air broadcaster revealed its key programming for next year at its annual upfront held at the Fox Studios in Sydney this week. Married At First Sight, The Voice and The Block will all be making a return to the network in 2018, and will air at similar times of the year as they did in 2017. This means Married At First Sight Australia, which was extended to 29 episodes from eight in the prior season, will be the first big reality show franchise to come off the bench. Nine’s runaway success from 2017, Australian Ninja Warrior, will also make a return next year. The series will be 12 episodes long, up from nine in 2017. The prize money will also be bigger next year. The winner of the series in 2018 will walk away with $250,000. The return of Nine’s yet-to-air cooking reality show Family Food Fight in 2018 will depend on its performance this year. The show is expected to premiere later this month. Along with the stable of returning shows, Nine has added two new reality formats to its lineup: Buying Blind and Love Island. The former is a property show where families looking to buy a house hand their savings over to three experts, who purchase a property on their behalf according to the brief given. Endemol Shine Australia will produce the new series. Love Island is a format that originated in the UK, and the UK version is carried in Australia by Nine on multichannel 9GO! and its streaming platform 9NOW. The decision to produce a local version was made after the success Nine had with Love Island UK on its streaming service, Nine’s sales boss Michael Stephenson said during a media briefing. Nine Entertainment Co. chief executive Hugh Marks echoed Stephenson’s statement by telling Mediaweek, “we have to go where the audiences are”. The broadcaster is expecting the local edition to have similar success to what it has had with the UK version. Love Island Australia will be shot in Spain. With a massive slate of locally produced content that has been popular with Nine’s TV audience in 2017, Helen McCabe, the company’s head of lifestyle for nine.com.au, wants to take this success to digital. Her key focus will be to better integrate the two arms of the business. “Our biggest point of difference [in the market] is that we also have a TV business,” McCabe said. One of the ways McCabe and 9Honey editor Kerri Elstub will be doing this is by launching a new TV show on 9Life called Sweet Spot. The brand was launched in the first half of this year as a podcast series to complement Married At First Sight Australia. The podcast series will make a return in 2018, along with a TV show of the same name. The TV show “will allow us to lead the news cycle on the franchise” according to Elstub and McCabe. As for 9Honey, McCabe said she will be rebuilding the website from scratch. The colour scheme won’t be much different, but the websites that fall under the network will feel more modern. This is something McCabe said she wanted to do this year but just “didn’t get around to doing it”. The 9Honey network has seven content verticals: 9Honey Mums, 9Honey Travel, The Fix, 9Honey Style, 9Honey Kitchen, 9Honey Homes, and 9Honey Coach. Since its launch in the second half of 2016, 9Honey has peaked at nearly two million unique browsers per month. This was in July 2017. Unique browsers slumped a little in August 2017. However, this is not something that McCabe is too fazed by. She expects it to reach around the two million mark again before the end of 2017. Apart from the work happening at 9Honey, McCabe also revealed her intention to launch a subscription website called Future Women. The new premium destination will be aimed at professionals and entrepreneurs aged 25-54. It will have its own dedicated editorial team and head. The cost of accessing the content on the website is yet to be revealed. According to McCabe’s “rough” timeline, the website is expected to be live by mid-2018. On the sales side of NEC, Stephenson announced the launch of its new technology for clients called 9Galaxy. The system will automate buying and selling of Nine’s off-peak and multichannel television inventory. Buying and selling of inventory in primetime and for live sport will remain unchanged. Stephenson said the new technology would give advertisers 100% audience delivery through its ability to predict audience engagement at different times of the day. The ad inventory for Nine’s streaming and video on-demand platform will be added to 9Galaxy in 2018. 9Now currently has a database of 4.4 million sign-ons, Stephenson revealed.